Bit of anchor overkill today maybe? I do love anchors though, especially in the spring/ summertime! I think this top will look even better in the warmer weather with some white lace shorts :) I'm just in with the boyfriend again today, damn this British weather! My hair's just natural today and I thought I'd mix it up a bit with some red lipstick for a change! Hope you're all having a lovely day! 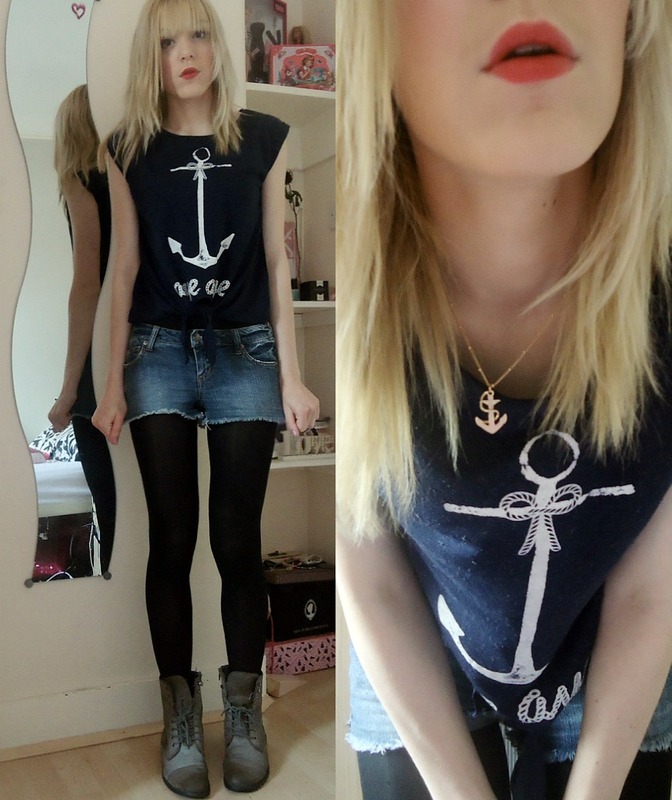 love this sailor themed look! the lipstick goes so well with it! 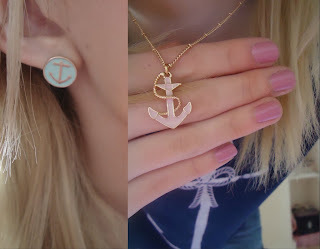 & I love those anchor stud earrings!